Wow! Super cool hard to find multi-generational home. This unique property features very nicely finished up & down separate living spaces. Upper level boasts of nicely updated kitchen with granite counters, stainless appliances, coffered high ceilings; dining and and family area. 3 very large rooms up. Brand new carpet plus hardwoods. Lower just went through $40K custom renovation with no expense spared. Very open and bright secondary kitchen and family room. French doors spill to patio and private exterior entrance. Great yard boasts cool playset, shed, patio, and deck. Walk to the elementary school. 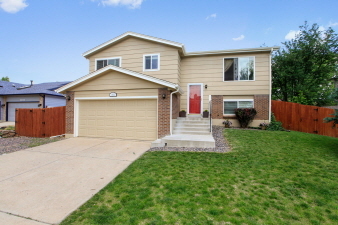 Awesome house in coveted Ralston Estates!